Often I begin painting a piece of furniture only to discover that the piece doesn’t want to be anything like I’d planned. I’ve come to realize that my pieces turn out better when I let them “tell” me what they want to be, and I just go with it. I planned a fantastic post—transforming a giant metal clock with BB Frösch. Every time I sat down to write, the words just wouldn’t come. This post still needed to be written, it just needed to be a completely different post. Two days before Christmas. My one and only son died. Just like that. He was 20. Instead of Jordan’s 6’2” lanky self walking through the door with his backpack over his shoulder, I opened my front door to the Clark County Coroner carrying Jordan’s backpack. Needless to say, everything changed that day. 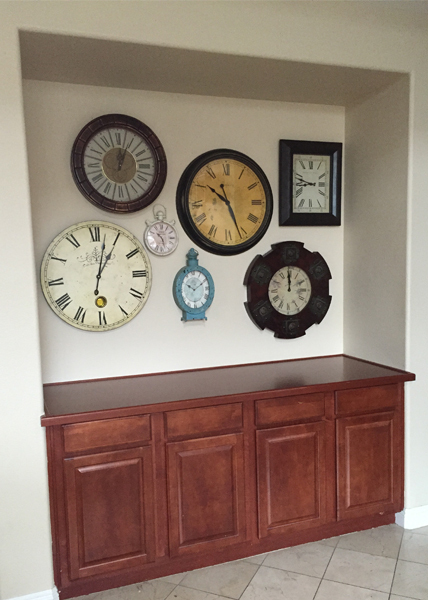 Wall clock transformations no longer even blipped on my radar. But, weirdly, my old clock wall was on my radar. I’ll explain that in a minute. The holidays were pretty much a blur. It still feels like the holidays didn’t even happen. Amazingly, we made it through with the support of friends and family, and even strangers. I have so many stories of family and friends and anonymous donors helping us fund Jordan's funeral, meals brought in every single night for ten days, my mom doing every piece of laundry we own and cleaning things that hadn’t been cleaned in, well, ever! We have been tremendously blessed! Then it came time for my mom and dad to go home. All the guys wore red bowties to the funeral in honor of Jordan’s favorite accessory and favorite color. 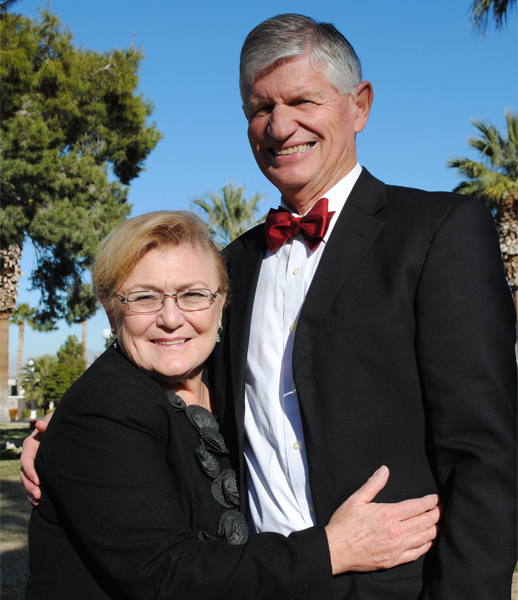 These are my amazing parents. The beautiful flowers from the funeral began to die. I walked past my clock wall every day and thought of how I let each child pick their favorite clock and we set that clock to the time of their birth (note: I only have four kids--the other clocks are just set to random times.) That was the solution we had come up with to have all my cool clocks without the ticking driving everyone, especially Jordan, nuts. Ticking clocks and kids with autism aren't a great mix! It goes without saying that my clock wall now made me feel empty and sad. That was the best I could come up with, but it didn’t come close to expressing how we are really doing. There is so much more to it! It occurred to me that I needed to do something to express the “so much more” without having to explain it. I also personally needed something to bridge me and our family from the overwhelming support we’d received in the weeks following Jordan’s death to the new life that loomed ahead as those around us returned to their families and their new year. That’s when my girls and I came up with the idea of a tribute wall. I strongly encourage getting everyone in your family involved in a project like this one. We immediately got excited about what Jordan’s tribute wall would include. We didn’t want a “shrine” or a place that evoked sadness. 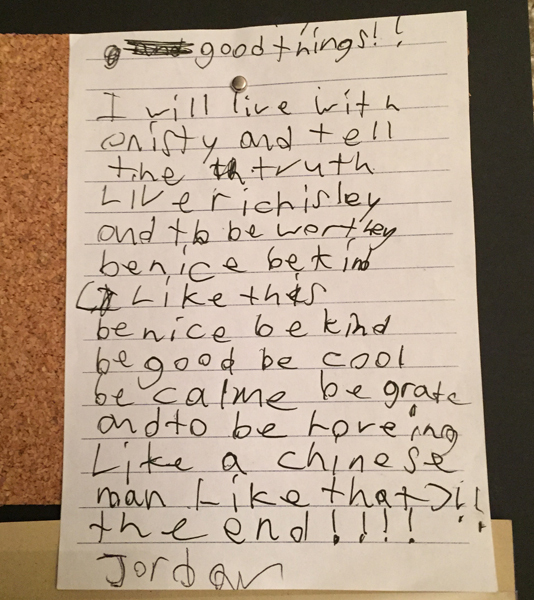 There will be plenty of things: a song on the radio, a letter in the mail for Jordan, a piece of Jordan’s clothing found unexpectedly…that will bring on the tears. We needed something awesome and special. We brainstormed what we wanted the wall to express, so that when we walked past, or when others saw it for the first time, there would be no question about who Jordan is, what we believe, how we are doing, and how we feel. My advice, inexpert as I am in this area, is to start with a list of words—feelings and emotions you want to convey instead of starting with a pile of awards and memories that would make you feel sad about what was, or what could have been. A tribute wall should not be for the person who has passed because I believe they are in good hands and not sad in the least. It should be for those of us who are living—to inspire us, give us hope, and comfort us. 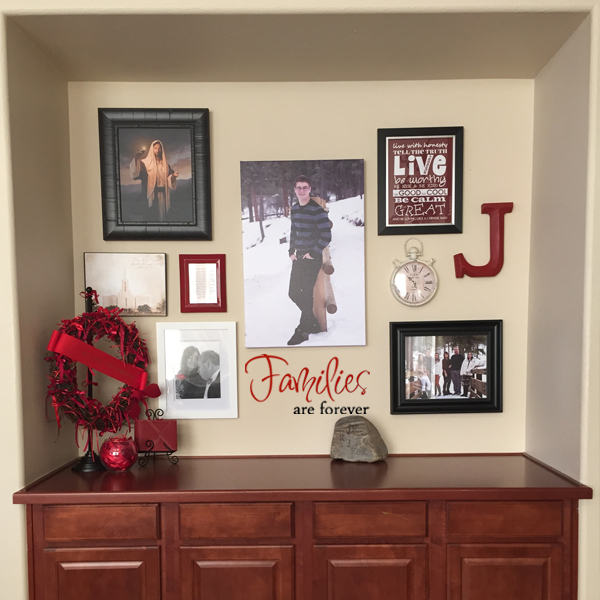 Now, I know you may not have need for a tribute wall due to the death of a loved one, but tribute walls can be for anyone! Armed with our list, we created categories so as not to be too “heavy” in any one area. We then began collecting things for our wall, and within minutes, we had more than enough. The awesome thing about a tribute wall is that it should be made primarily of things you already have, so it doesn't cost anything! Here are the categories we felt covered most every item and every word from our list. Of course, most items fell into more than one category and vice versa. We chose a our favorite picture from our most recent family photo shoot. The girls had it made into a canvas as a belated Christmas gift for Jason and me. This is a category that would be easy to overdo with pictures! We did not want a wall of pictures of Jordan through the years, because it wouldn’t leave room for our other categories. Those pictures are in his scrapbooks. We chose one picture where Jordan looked handsome and exuded confidence. It’s how we remember Jordan. 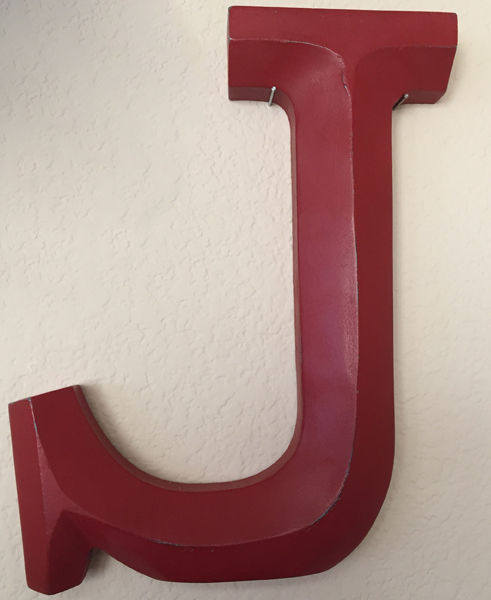 Kacey painted over a blue “J” with red chalk paint (made with BB Frösch Chalk Paint Powder, of course!) Red was Jordan’s favorite color. This represents that time is precious and to be treasured. It also represents that this time on earth is not the end, it is just a blip on our journey through eternity. A tribute wall wouldn’t be complete without a picture that represents the people closest to you and your loved one. 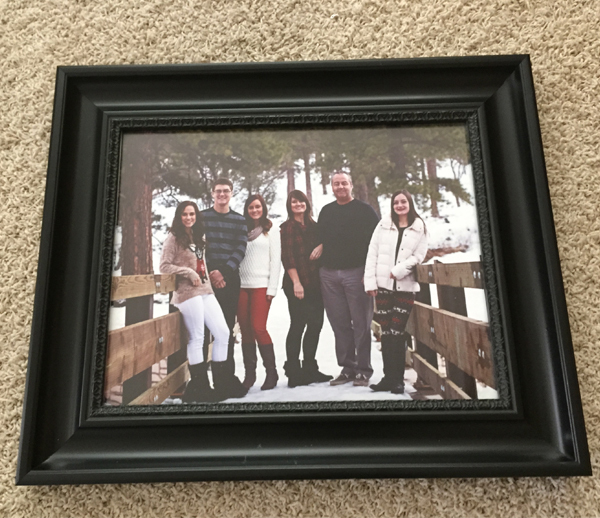 I love how our recent family picture just happened to have Jordan’s favorite color, red, as the accent color! It goes perfectly on our wall. By landmark picture, I mean something that has meaning for your loved one and your family. A favorite vacation, a “first”, a favorite place, etc. 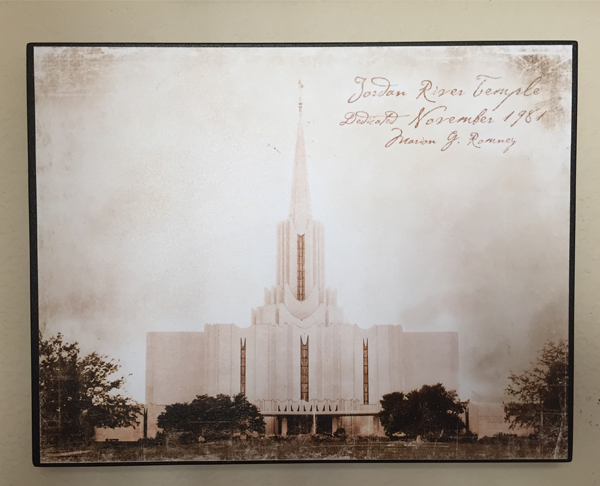 We chose a picture of the Jordan River, Utah temple. The temple represents that our family is sealed together forever. It is the temple where Jason and I were married, and is the temple that Jordan was named after. 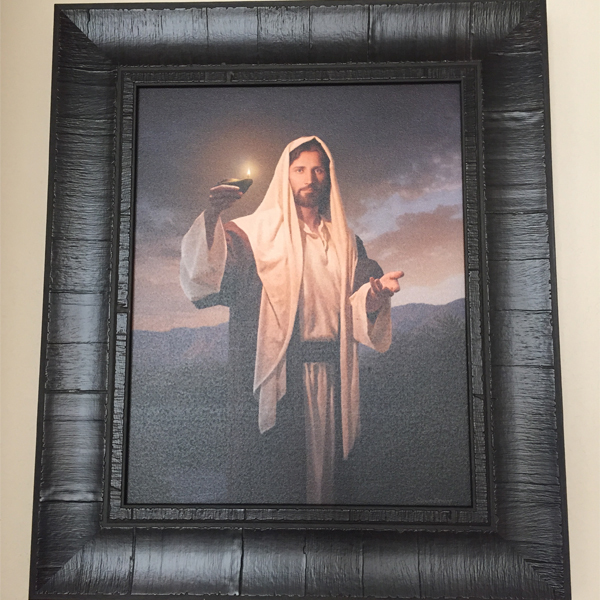 We chose a special picture of the Savior. This picture holds several meanings for us. We know the Savior lovingly and excitedly welcomed Jordan home. The Savior will always be there for us, leading, guiding, and loving us. This picture, titled “Lead Kindly Light” was a gift from our ward (church congregation) when Jordan died. This could be a quote, family photo, favorite photo of your loved one doing something that had meaning for them—joy, hard work, service, etc. I think it could also be a picture of your loved one with special friends. My sister took this picture at Jordan’s graveside service, and my parents had it framed for us as a gift. I had no idea this picture was taken, but I treasure it for so many reasons! 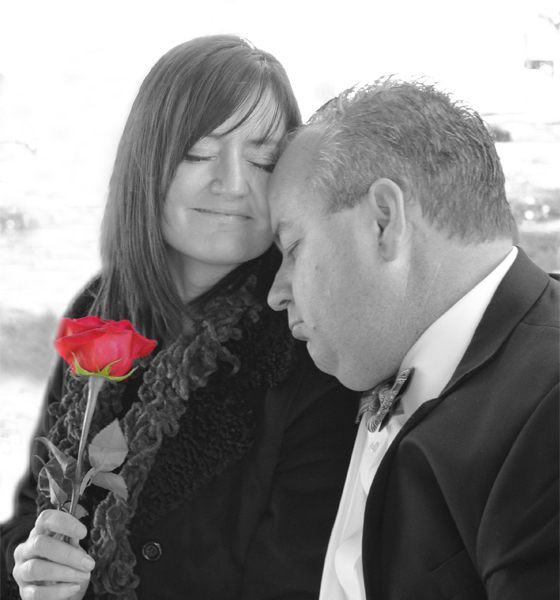 It represents and expresses every emotion we felt as we were about to place a red rose on Jordan’s casket: sadness, exhaustion, hope, faith, feeling blessed, love… I especially love that in this rare instance, I am the one supporting Jason. He is my rock, and I am grateful that he could lean on me for this brief moment. 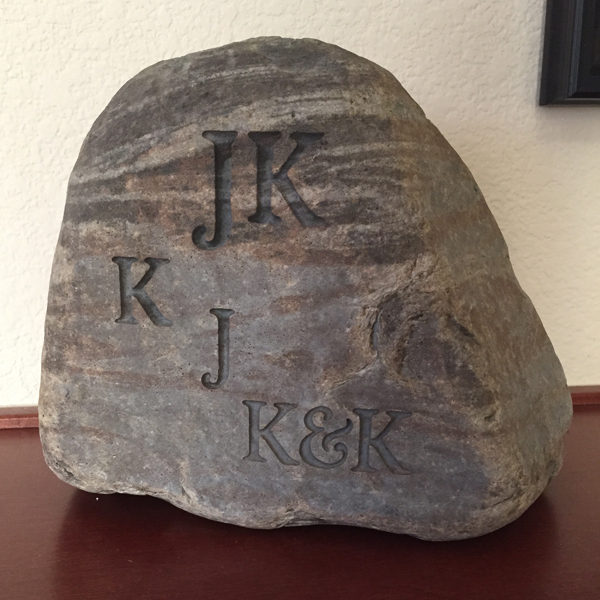 We chose a Family Rock that my mother in law had engraved with our family initials. She gave it to use several years ago. I have always loved it for it’s uniqueness, but I love it even more now as it represents strength in family unity. We also tie a ribbon when we experience or perform an act of service. 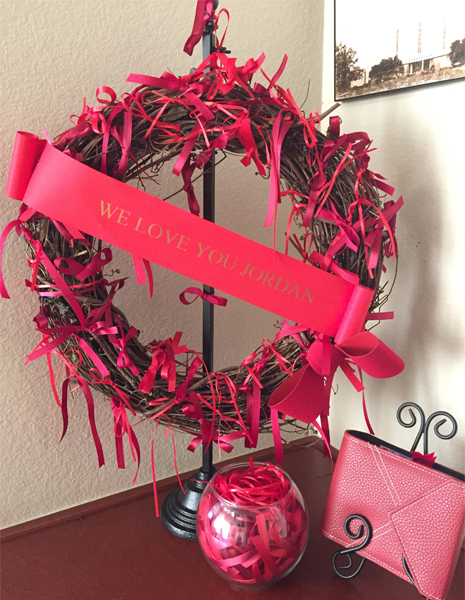 This wreath reminds us that Jordan is loved, that we are loved. It is also a reminder to serve others so they can feel the love and support we continue to feel. Jordan’s scrapbooks remain on the shelf with all our other scrapbooks. However, I decided to put one small scrapbook of his with the wall because it is a little different. I made it as a gift several years ago and filled it with words/qualities that reminded me of Jordan. 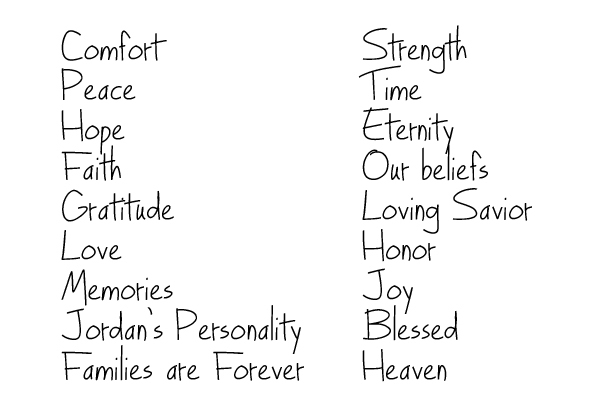 Each descriptive word has a picture of Jordan that exemplifies the word or characteristic. 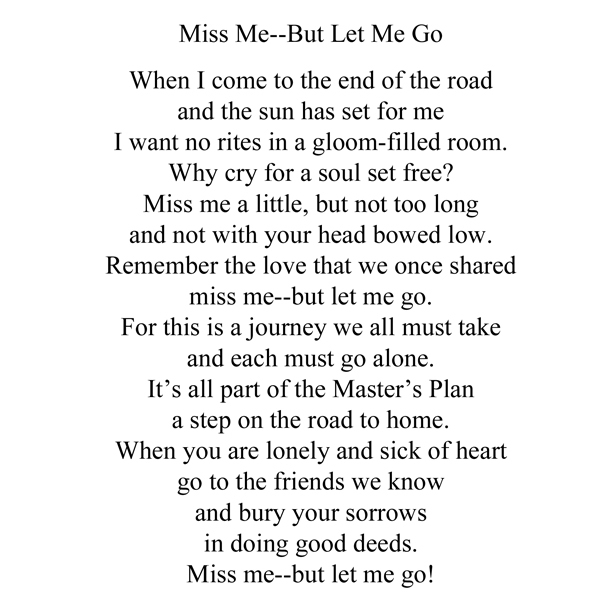 The words to the poem are self-explanatory! This poem came with the wreath, so I just typed it up and put it in a red frame. I think a favorite scripture verse, or words to a favorite song would also be great. 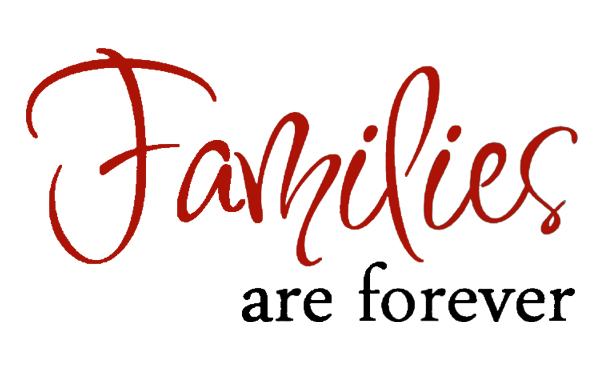 For us “Families are Forever” says it all. We are a family. We will always be a family. We are additionally blessed and can gain strength from one important member of our family loving and guiding us from heaven. Sadly, I don't have a Silhouette, so I ordered our motto in vinyl here. It didn't arrive in time for this post, so I superimposed it onto the wall where it will go. This could be a piece of art, a sculpture, an award, or a ribbon. Again, the idea here isn’t to memorialize all of Jordan’s accomplishments, or to display his treasures. It is to represent Jordan’s talents and personality—something to bring a smile to our faces and show others who Jordan was. I saved it, and turned it into subway art for his room several years ago. 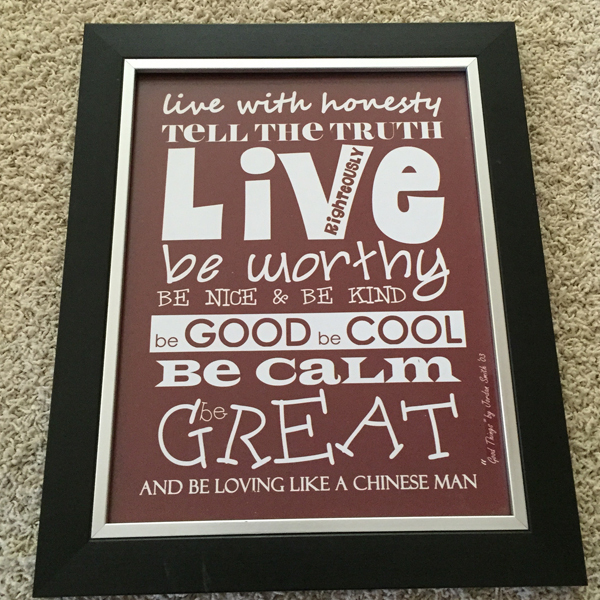 I always loved how sweet his message was, even though I am not entirely sure where he got the idea to be "loving like a Chinese man!" This is a reminder of who Jordan was, and a reminder of who we want to be. The final result turned out exactly how we planned, and it brings a smile to my face every time I walk past. Just this evening, a friend came by and asked how I was doing. I smiled, and took her to my wall. I promise to return to regular chalk paint and furniture transformations soon!